Hello! Kara here and I am fully embracing fall now. The weather is getting cooler and these sunflowers are just perfect for the season. 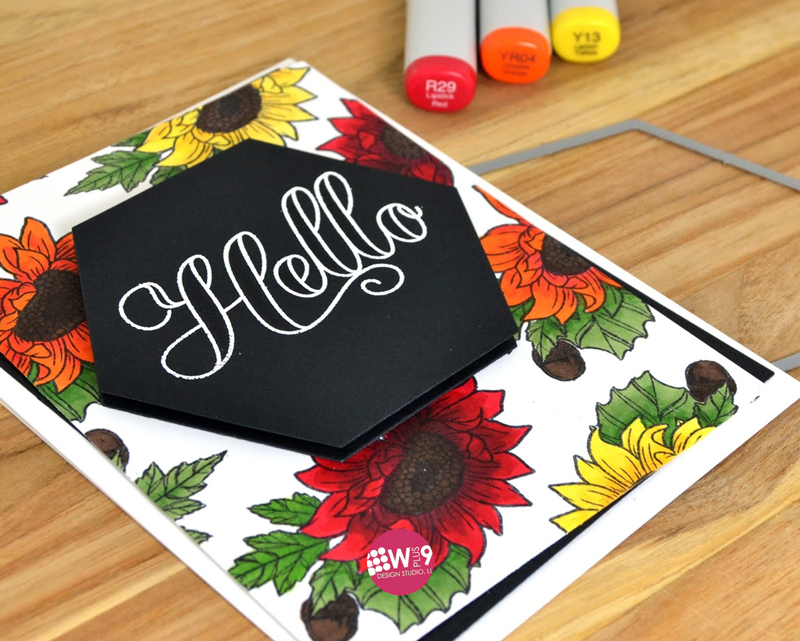 I stamped this single sunflower cluster stamp in a diagonal pattern on a piece of white cardstock. I used a Copic friendly ink so that I could do some coloring. I colored the flowers in shades of red, orange and yellow. 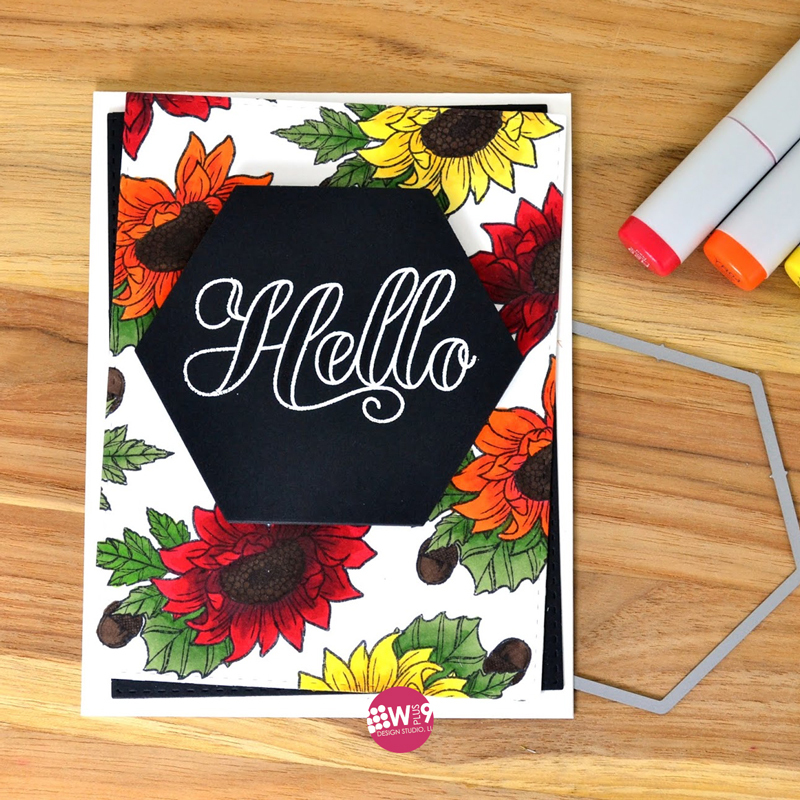 I die cut two hexagons, from Clear Cut Stackers: Hexagons, out of black cardstock for my sentiment. 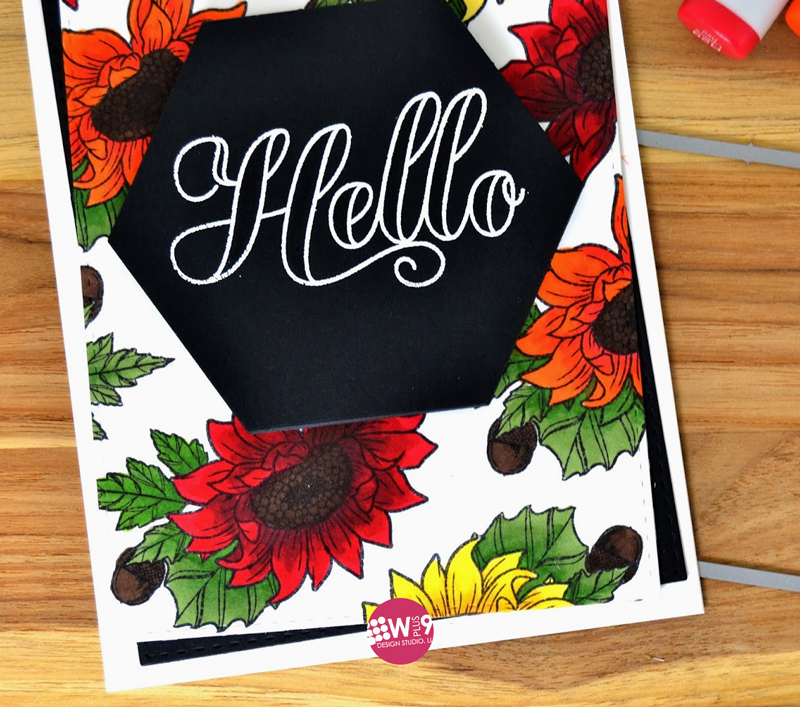 Using Versamark Ink and white embossing powder I added the 'Hello' sentiment from Butterfly Mandala. I stacked the two hexagons and separated them with some dimensional adhesive for a touch of added interest. I hope you enjoyed today's project and a little break from the Christmas inspiration. Thanks for stopping by!